A rug is a great, easy way to infuse personal style. It can anchor a room, help define a space and create a cohesive look between rooms. 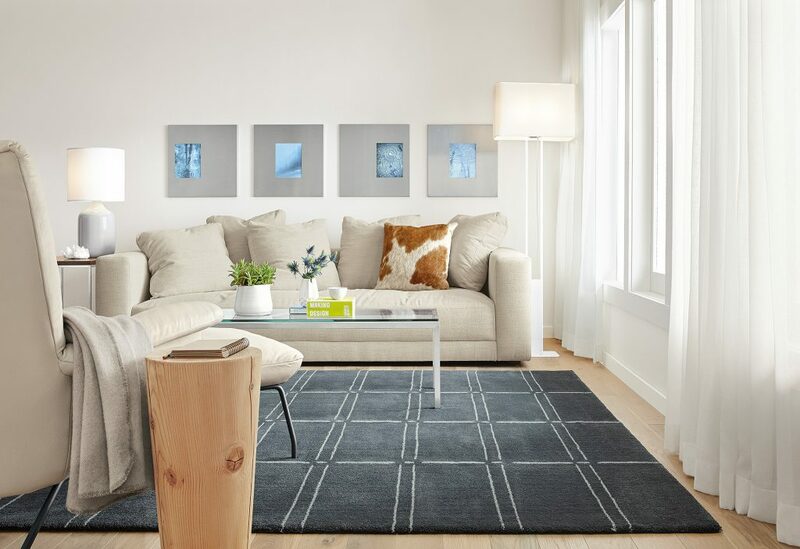 There aren’t any hard and fast rules when choosing a rug, but keeping a rug’s color, texture and size in mind can help you make the perfect choice for your space. Color is a natural place to start when choosing a rug. A neutral shade will complement any space, but if your wall color and furniture is all neutral, it could be a great place to show off some colors or patterns to give your space a total refresh. Cowhide natural rug in Toffee. Texture is also important to consider for a couple reasons. Just like accent pillows or throw blankets, rugs help a space feel layered and welcoming. Are you looking for a plush feel as soon as your feet hit the ground? Or do you need a lower pile rug so chairs can easily move across it? 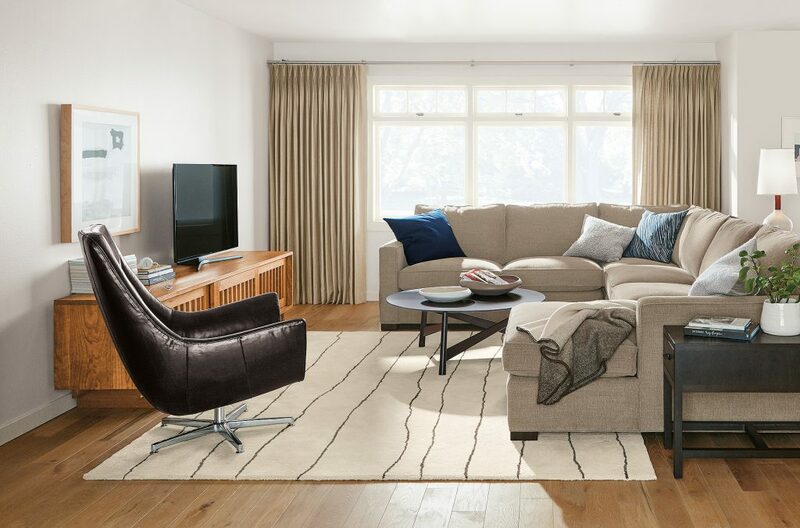 Do you need a rug that’s durable because it’s going to be in a high-traffic area? Considering questions like these will lead you to the perfect texture. Size can often be the biggest conundrum when selecting a rug. Think of it this way: a rug should fit the size of the main area of a room, which is not necessarily the entire room. Not all of your furniture needs to be on the rug, but a general guideline is keeping at least the front legs of a sofa or chair atop the rug for a cohesive look. 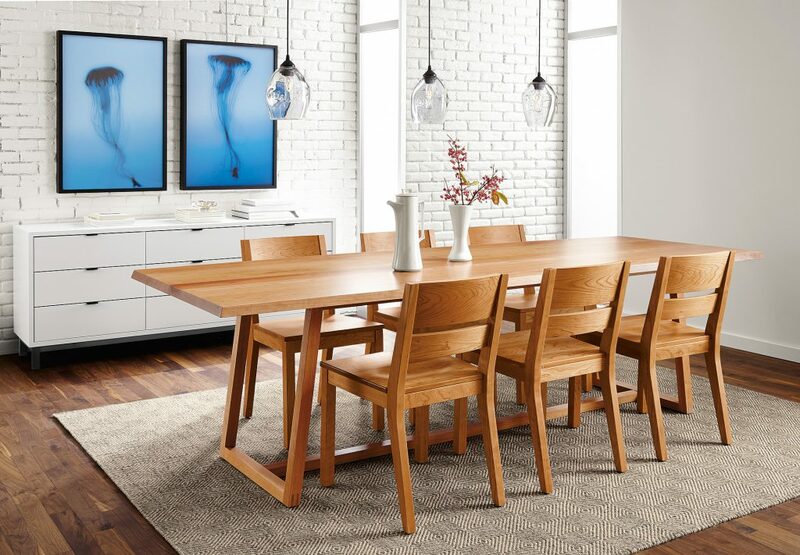 In a dining room, you’ll want to be able to pull chairs out from the dining table and still have them on top of the rug, so you can avoid awkward unevenness. Avani wool rug in Foxhound. P.S. 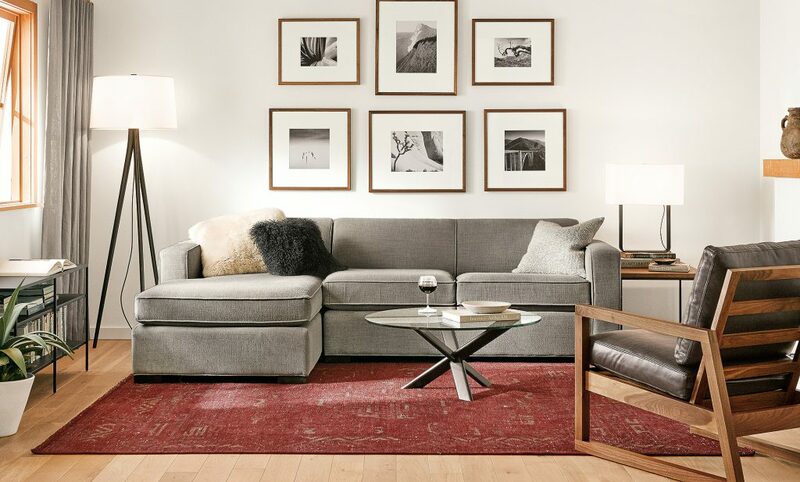 Room & Board makes it easy to test a rug and see if it works in your space. Get a refundable sample of any one of our rugs for just $25.